The program year is divided into two semesters of 5 months each. At the end of each semester students will be examined on the modules you have taken. Both the semesters would last for approximately 20 weeks each, with about 18 weeks of teaching and two weeks of assessment. All modules have exam-based assessment, case study analysis and workshop participation-based assessment. The weightage of each component may vary for each paper. GRMI will follow the traditional CGPA score concept and hence students would get a comparative sense of where they stand within their peer group. We aim to apply very high standards in admitting students to the institute since we hope to be in a position by the end of the first year where our students are greatly in demand on the one hand, and spoilt for choice in potential employers on the other. This will imply that CGPA scores would become tough to secure, and also relevant for future employers as they would secure top talent graduating from GRMI. 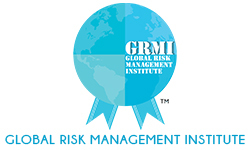 We are certain that all organizations hiring out of GRMI would be top corporates and risk consulting firms, who would settle for no less than the best talent on campus. We would be delighted to see this trigger off a compensation tussle amongst some of the large hiring organizations.